Increasing demand for hospice care, combined with a need to train physicians specializing in hospice and palliative medicine, advanced Center for Hospice Care’s (CHC) partnership with the Vera Z. Dwyer Charitable Trust. A transformational gift focused on hospice and palliative medicine education is the result of this collaboration. A generous $1.75 million gift from the Vera Z. Dwyer Charitable Trust is increasing the number of hospice and palliative care physicians in northern Indiana and will help improve the quality of medical care provided in the region for generations to come. The Dwyer Trust’s gift to the Hospice Foundation, supporting foundation of Center for Hospice Care (CHC), is part of the foundation’s five-year campaign to raise $10 million for new construction, endowment and programming needs. To become board certified, physicians must complete a one-year Fellowship program in Hospice and Palliative Medicine. U.S. fellowships will need to increase from the current 325 graduates a year to up to 600 per year by 2030, just to ensure enough physicians are available to provide hospice and palliative care services. Recognizing this burgeoning need, trustees of the Vera Z. Dwyer Charitable Trust generously provided a $1.5 million gift to Center for Hospice Care to establish the Vera Z. Dwyer Fellowship in Hospice and Palliative Medicine. The two-part gift provides funding of $500,000 over five years to immediately increase physician training in hospice and palliative medicine, as well as a generous matching grant of $1 million to create an endowment to fund the Vera Z. Dwyer Fellowship in Hospice and Palliative Medicine in perpetuity. The new fellowship seat will be housed in the Indiana University (IU) School of Medicine’s Hospice and Palliative Medicine program, with which CHC has a long-standing collaboration to train physicians participating in IU School of Medicine’s fellowship program. The first Vera Z. Dwyer Fellow, Kayla Herget, MD, recently concluded her four-week clinical rotation at CHC and will complete the 12-month fellowship program next month. To round out the $1.75 million gift, $250,000 is being provided over five years to develop community education programs, which include educational workshops, seminars and events focused on end-of-life care and the importance of sharing those wishes with loved ones, including the development of written advance directives. Vera Z. Dwyer was devoted and generous to her community. In life, she had a significant impact on the lives of many. 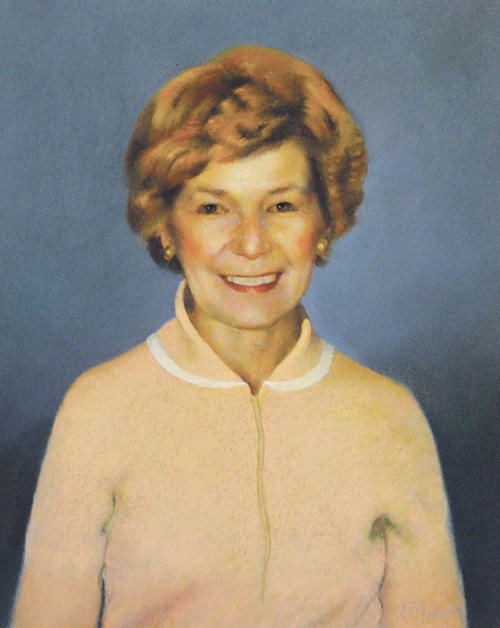 Upon her death in April 2010, at the age of 89, The Vera Z. Dwyer Charitable Trust was established to advance community health education and community outreach, and to support other causes important her. As a result, her legacy of philanthropic assistance will continue to improve the quality of living in our community for generations to come. The Hospice Foundation is committed to supporting the work of CHC through community outreach and education, fundraising activities and other special events. The Foundation helps CHC keep its promise that no one eligible for hospice services will be turned away, regardless of their ability to pay.